When Nadia asked me to write a section about my hair journey on this blog, I was hoping she was joking because the chores are calling my name, but she wasn’t, so here I am! I first want to pay homage to her and all she has discovered and is sharing about healthy hair practices for women of colour. What prompted me to learn more about healthy hair care practices was all the hair I use to lose come wash day, all the money wasted at the hairdressers and my hair not being able to grow beyond a certain length (shoulder). So here goes, brace yourself, let’s hope this doesn’t turn into a book! Ok, so I consider myself to have mostly 4b hair with small sections of 4a. I am texlaxed at the moment not really out of choice but just that the relaxer no longer takes as well as it use to within the allocated time. Most people think texlaxing is kinder to the hair but I use to find it harder to deal with as it would matt when wet until I found products and a regimen that works with my hair rather than against it. 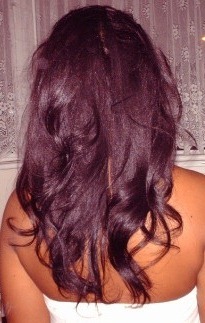 I relaxed my hair at 14 after begging my mum for years (though my daughter will have to wait until she is 30!) and then her finally giving in. As most of us did, I relaxed too frequently (every 6 weeks), used direct heat a lot and couldn’t really keep my hands out of my hair. After years of the hair matting together at every wash, and me having to cut sections out I knew that something had to give so I decided to start researching on the net how to properly care for my hair. 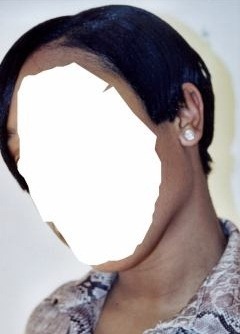 I started with a very short cut; I thought I was a big woman so cut it just after my exams at school (10 years ago now) from shoulder length right up to it being shaved at the back. I soon realised how much harder and expensive it was to maintain a short doo and decided to grow it back. During this time I used cornrow extensions a few times a year to give it a break and began wrap setting once it got past the ear. Soon after that I started seeing pictures of rollersets and how beautiful the results were and so decided to give it a go. I got it wrong every time for years and it always looked a mess, YouTube videos where not around at that time so I had to go by a lot of the written descriptions from the kind ladies on www.longhaircareforum.com. Eventually, I got the rollersetting down and after many mishaps (all documented in my fotki) and experimentations (if it aint broke, don’t fix it), I found my beloved Giovanni hair care brand (Organic) and a regimen that works for me. I have been doing this since 2006 with continuous excellent results. I am currently at waist length and have achieved this by devising a low manipulation regimen, learning to rollerset, self relax and self trim and not jumping on the bandwagon when someone raves about a new product. It may sound silly but I thank Jesus for helping me to acquire the knowledge to care for my own hair but also allow me to not become obsessive and to exercise patience during the meantime period. It is also important to share your knowledge and I too am very grateful for all the women of colour that have helped me along the way. Black people CAN have long hair; God has allowed me to be living proof. My regimen is written below (visit my fotki for the detailed version) and it is something that has worked for me but may not work for everybody. 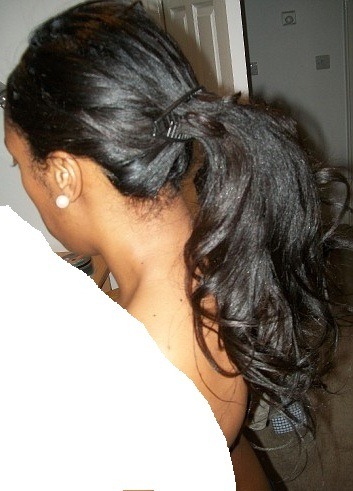 I self relax every 12 weeks with Organic Root Stimulator using the half half method. This involves parting the hair in 2, relaxing one section at a time, then rinsing, then relaxing the other section to ensure equal processing time (see my fotki for pics and details). I also self colour (Rage and React Semi Perm Burnt Orange or Sienna Colour) and self trim (less than 1cm with rollersetting, your ends are never really unhealthy) at the same time. I wash my hair once every 3 weeks (yes, I said it, 3 weeks!). This is due to it taking like 7 hours on wash day. I use mainly Giovanni products and only comb my hair on wash days. I always steam my hair at every wash (I have had my mum’s steamer and dryer for like 15 years, great investment!) 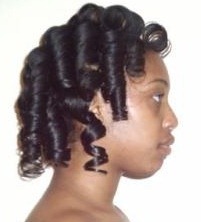 and rollerset using magnetic rollers and Giovanni Frizz Be Gone Serum and water. 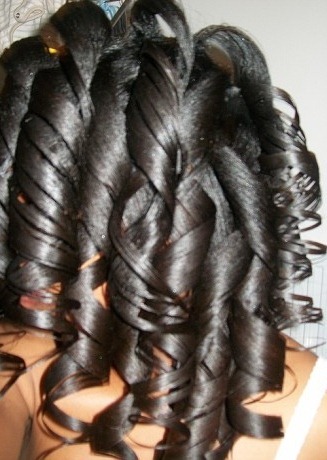 I don’t use setting lotion as it dries out the hair, my curls hold for 3 weeks without it as long as I pin curl it. I sit under the hooded dryer for 2 hours and once it is completely dry I then flat iron the roots with my Maxi glide (and any frizzy sections) using the flat plates. 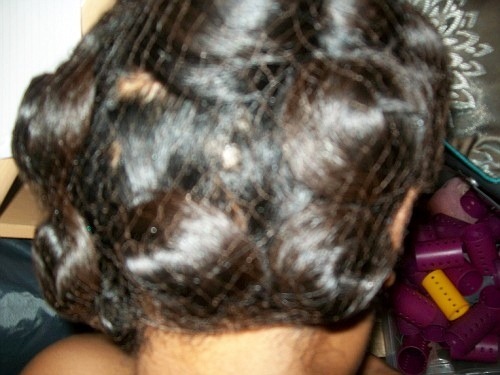 I then pin curl every night (I wrap my hair maybe once a year) and sleep with a net and a silk scarf. In the morning, I take the pin curls down, shake like my name is Suzy, and hit the door. I only add Oil (Keracare Essential Oil) once a week and finger comb if needed. The most important thing is that I care more about the health than the style, I don’t try and do freshly relaxed styles (like slicked back in a bun) on a head full of new growth. Lets be sensible here, my new growth just doesn’t have it so I do loose, unconventional styles that still look cute. That’s it! Feel free to leave any questions/comments in my guestbook! Great read.. Alway thought you would have to weave/braid/locs to acheive this kind of result but no, no, no. Good going Lonei!! Your hair is SUCH an inspiration to us short haired ladies!!! Just beautiful, and I love the simple reggie. Oh my goodness your hair is incredible! thank you so much for sharing I will try your method. I was trying to go natural without cutting my hair so I have two textures 2 inches of new growth the rest relaxed but I am learning it’s been a challenge to find the right products for my hair but after reading your simple reggie i am feeling better about my hair again. Thanks so much. 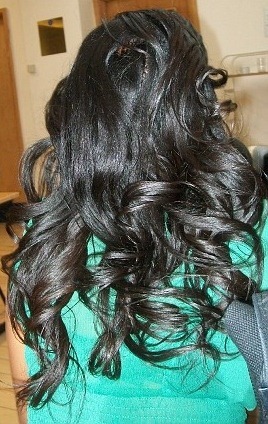 My hair was long and pretty before I was introduced to the curling iron. And then came the flat iron. I love your hair. Thank you for posting your journey. 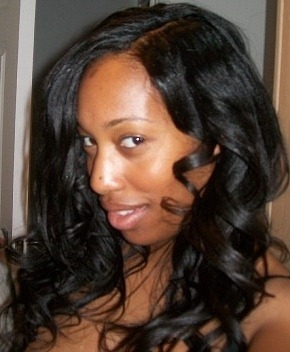 I was transitioning to natural and I have long hair but I find I like the way my hair looks relaxed. What brand steamer and dryer do you use? I always struggle with the roller setting as well. 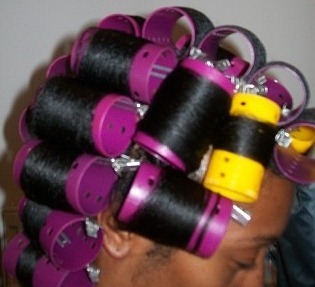 Do you have a YouTube tutorial on how you roller set? May I have the password for Lonei’s Hair Journey fotki regime?